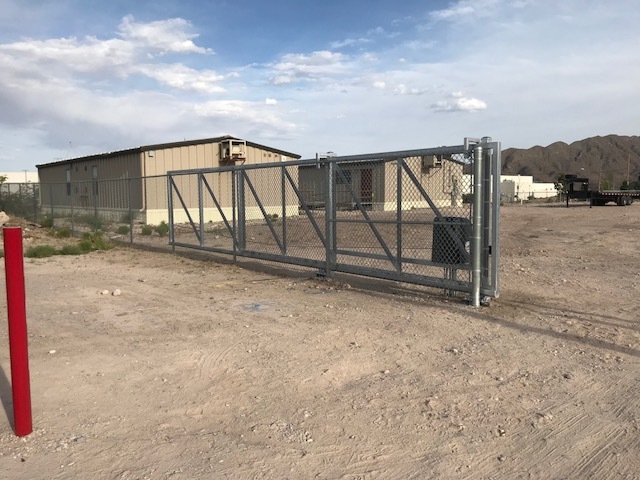 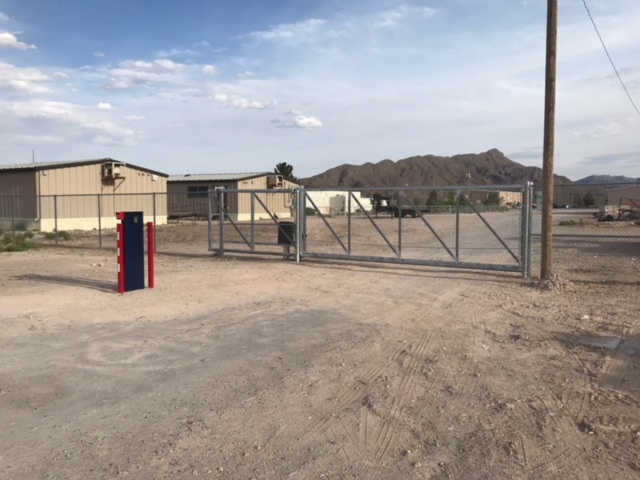 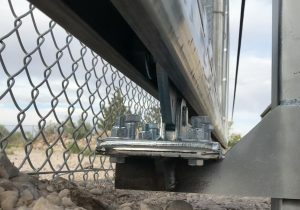 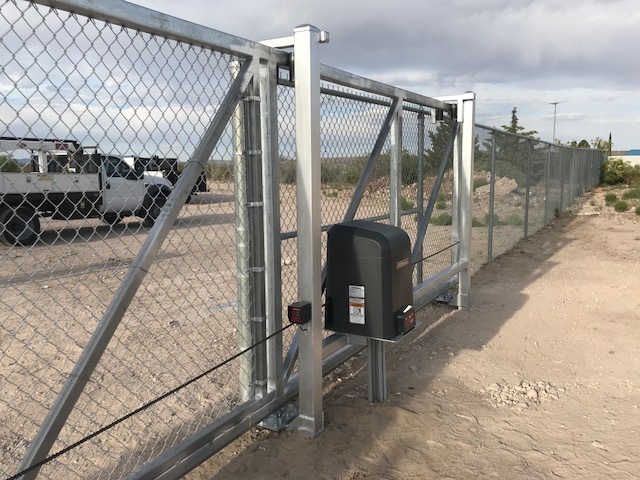 This chain link sliding cantilever gate has been installed at the Truth or Consequences Transportation Center. 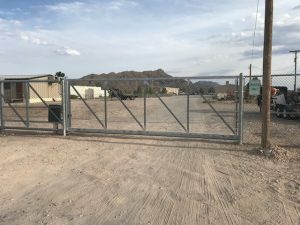 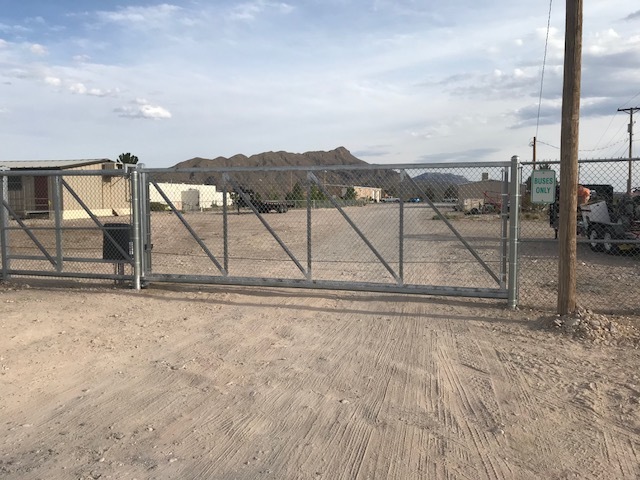 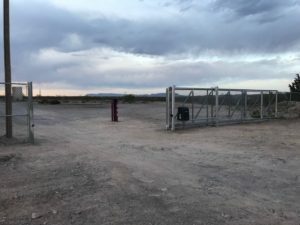 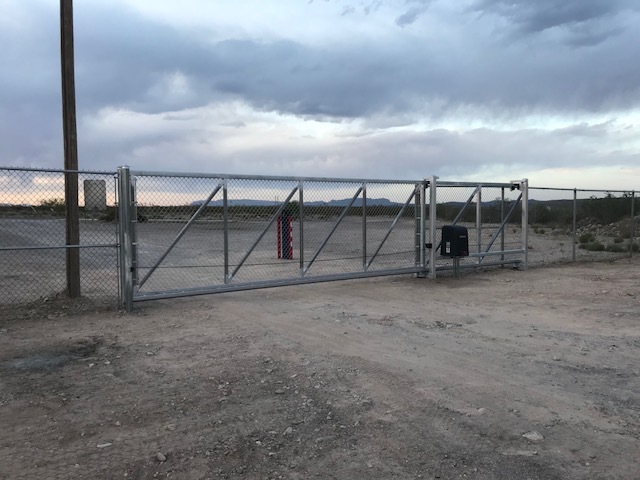 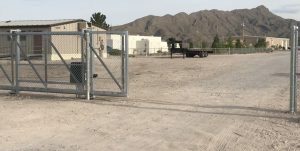 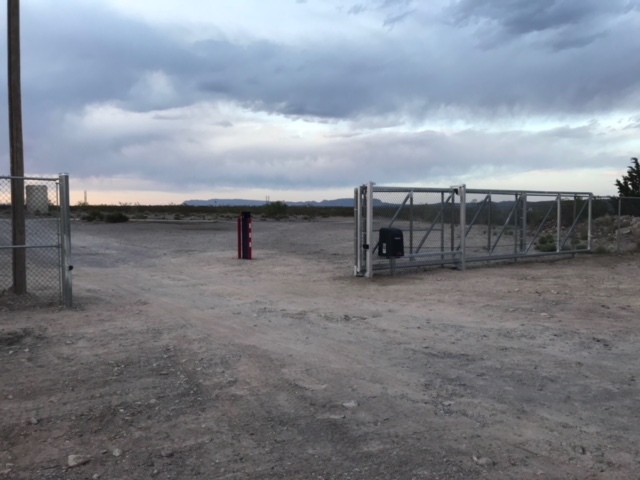 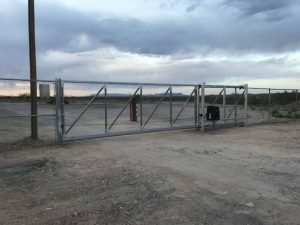 The gate opening is 20ft with a 12ft tail end, making the overall gate length 32ft. 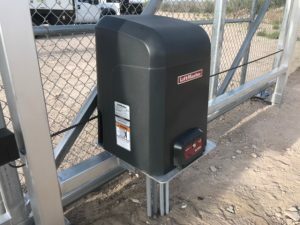 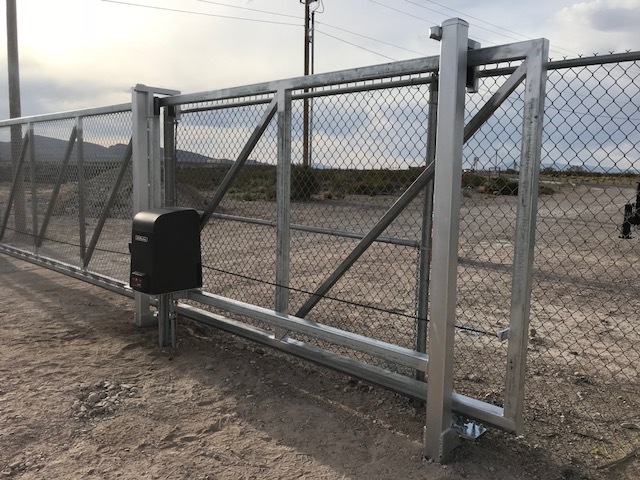 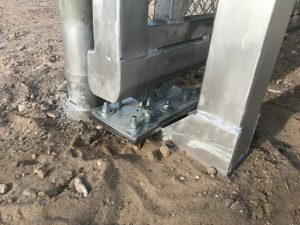 This sliding gate uses DuraGates model CGS-350.8P. Thank you to Iron Clad Concepts, LLC for sharing their video.